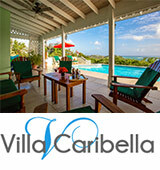 Grenada has many private villas for the traveller who craves that extra something. Grenada's villas are located throughout the island and range from simple 2 bedroom secluded villas, to luxury villas with all the amenities you can dream of - from simple villa splash pools, to massaging hot tubs, private maid services or a personal chef on request. Located in L'ance Aux Epines and with stunning sea views over the Caribbean, this privately owned self catering two bedroom villa with en suite facilities is available for vacation rental. 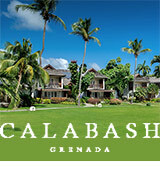 The Calabash Hotel and Villas is renowned as being among the best resorts in the region, understatedly elegant where nothing is too much trouble for guests in terms of personal service. 30 suites are set in lush garden ssurrounding peaceful L'Ance Aux Epines beach. The hotel boasts a Gary Rhodes restaurant and a new spa. 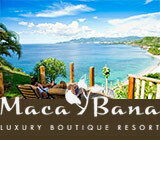 7 delightful villas with stunning ocean views in a lush garden, above Aquarium Restaurant on the palm-fringed beach. All villas are fully equipped and artistically designed, each one unique. The kitchens are a gourmet cook's dream, all bedrooms have air-con and en suite bathrooms. Private massaging hot tub and infinity-edge swimming pool. 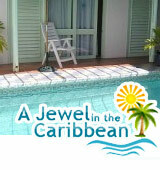 A stunning Caribbean 2-bedroom holiday villa rental. The Tower is a private and unique villa with two bedrooms, two bathrooms and is fully furnished for comfortable island living. 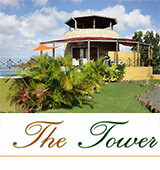 There is a dining and sleeping area at the top of the tower for those who love to be 'al fresco'. Overlooking Clarke's Court Bay, ten minutes from Grand Anse but away from it all, a luxury retreat with three spacious air-conditioned bedroom suites, child-friendly infinity pool, beach, jetty, kayaks and yacht mooring. 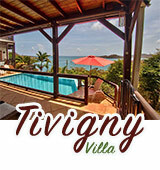 A luxury holiday villa perfect for that vacation getaway or honeymoon, in the exotic spice island paradise of Grenada. A 3 bedroom vacation villa with swimming pool / patio and scenic views, plus a complimentary rental vehicle with your stay. 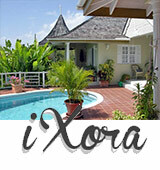 Villa Ixora is located on the shore of Coral Cove in a secluded area of beautiful unspoilt Grenada. In an inspired and tranquil setting this charming single storey luxury villa Ixora has all the ingredients for a very special luxurious Caribbean holiday in the sun.